We've designed a set of brackets to mount the Baja Designs XL lights onto the factory fog light brackets for 11-16 Super Duty trucks. 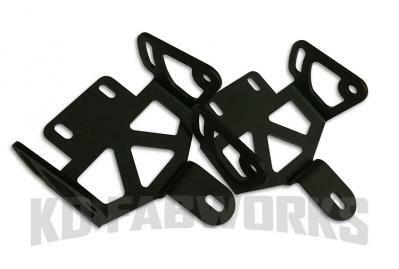 Slight modification to the factory brackets is required for installation. 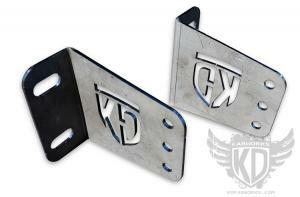 You will be able to retain your factory fog light bezel with these brackets for a clean look! Note: Your truck must have factory installed fog lights otherwise additional parts will have to be purchased to enable a frustration free installation. Made from 11 gauge laser cut and CNC formed steel, powder coated low-gloss textured black. Stainless steel mounting hardware is included, as well as a pair of our TR-H10BD adapter harnesses. With a 4,900 lumen count and power draw of 40 watts, the XL Pro is the only single housing LED auxiliary light on the market that has the distance of an 8” HID with the smooth spread of an LED. 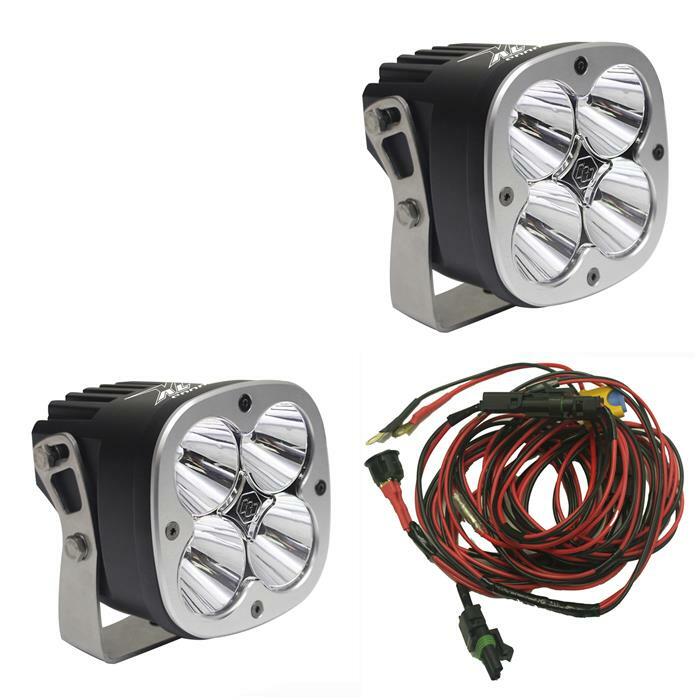 The XL Pro LED light utilizes our trademarked High Speed Spot reflectors providing for a longer beam pattern. 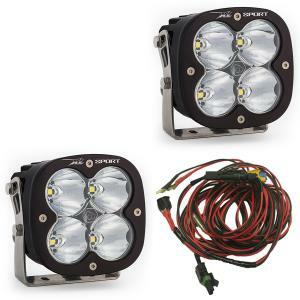 Perfect for enthusiasts that need a vast amount of light and are looking for something other than a light bar. 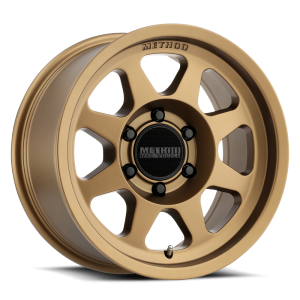 An industry first 30 Day Satisfaction Guarantee & Limited Lifetime Warranty is included for the ultimate in purchase protection. Two is always better than one, right? 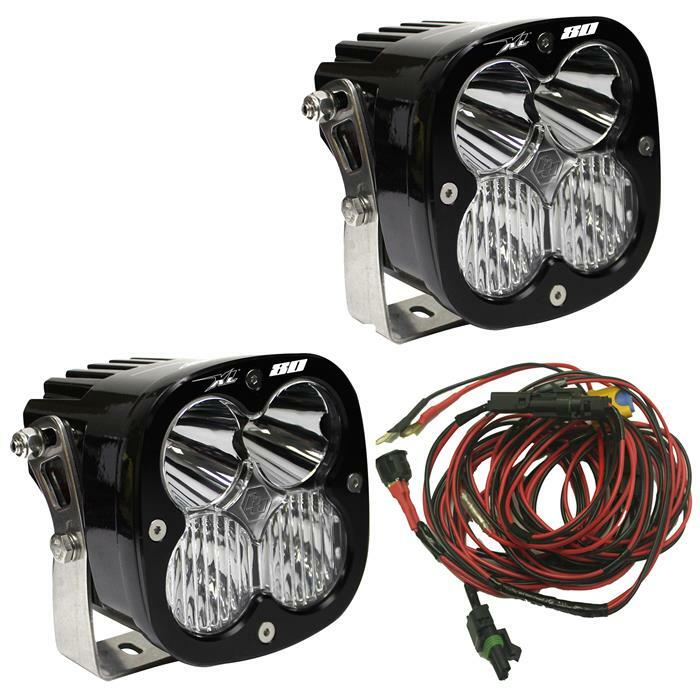 We think so, which is why we’re offering a pair of XL80 LED auxiliary lights with wiring harness for the price of $710.96.Choose to take your off-road lighting to the next level with BD’s 9,500 lumen XL80. Similar to BD’s current XL Pro model, the XL80 has the same anodized and powder coat cast aluminum housing and bezel. However, this is where the similarities end. The XL80 features a very powerful LED, known as the XHP50 for greater visibility and increased brightness. As always, Baja Designs offers a 30 Day Satisfaction Guarantee, and Limited Lifetime Warranty.